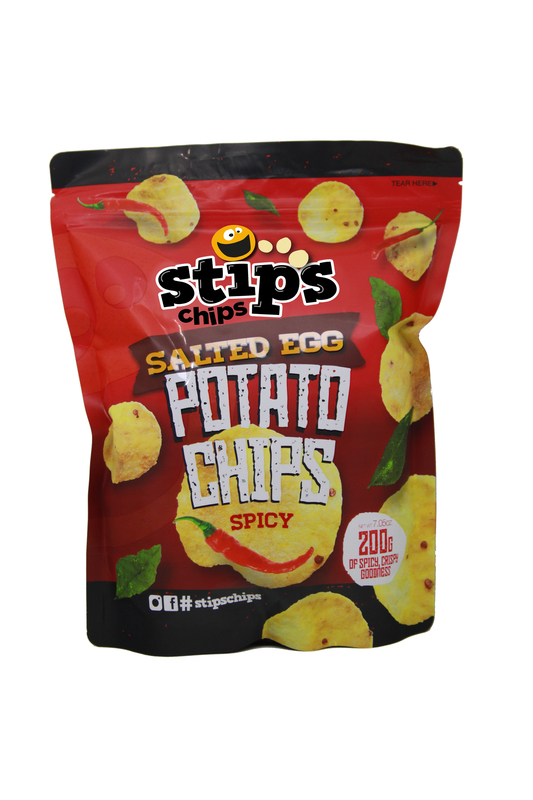 Stip's Chips Salted Egg Potato Chips- Spicy is your newest snack food fave. Crispy home-made potato chips with the creamy blend of sweet and salty salted egg mix and curry leaves with chili pepper for that spicy kick. The melt-in-your-mouth salted egg potato chips crafted by foodies guaranteed to keep you craving for more!